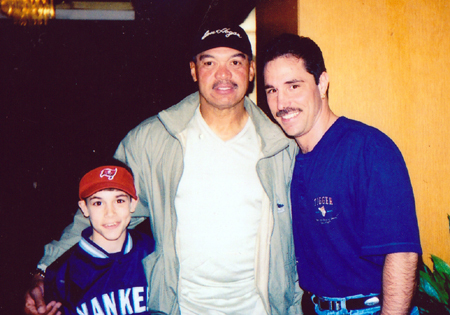 Welcome to K&M All Star Sports, a family owned and operated business where we sell a wide variety of quality merchandise and hold events such as meet-and-greets and autograph signings. 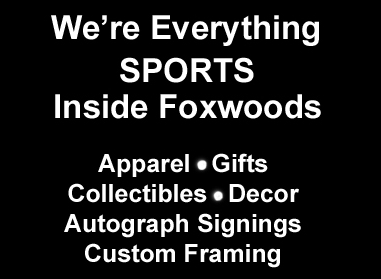 We are conveniently located inside Foxwoods Resort Casino near the restaurants and other merchants. We carry licensed apparel, gifts, accessories, decor, and novelty items at K&M All Star Sports. We do custom framing for your favorite sports memorabilia selections as well as your own photographs from weddings and other special events.